The Things We Keep is a feelgood love story that has a pertinent message for our age. With the ageing of the population in Australia, sooner or later each of us will have a friend or a relation with memory loss, and/or know someone who’s coming to terms with its effects on a loved one. We’ll come in contact with professionals working in the field, and we’ll need to develop a repertoire of strategies for maintaining relationships with people who can’t remember things that are important. It’s easier to understand the impact if we have some understanding that the person with memory loss is still the same person inside. There’s probably a whole industry devoted to this theme, but I haven’t come across much of it. I read John Bayley’s moving tribute to his wife, the great English novelist Iris Murdoch (Iris: A Memoir of Iris Murdoch, 1998) and through this beautiful love story, I learned that although she was diagnosed with Alzheimer’s disease in 1996, he cared for her at home and took pleasure in her company till her death in 1999. And I saw the film Still Alice on a long-haul flight to Europe, and learned that smart people can do a lot to support someone with this disease, and that accepting that person as they are can make for a fulfilling relationship. 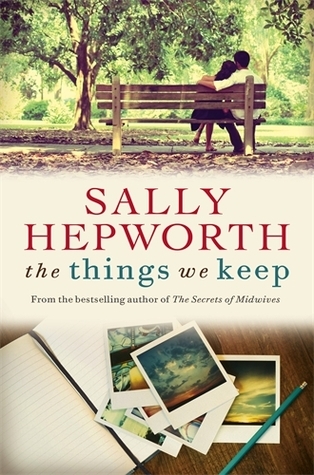 In some ways Sally Hepworth’s novel deals with the same territory, but the story takes place in the context of someone else’s messy life. There are multiple narrators, beginning with Anna Forster who at the start of the novel has just moved into Rosalind House, an assisted-living facility for senior citizens. But Anna isn’t a senior citizen. She is thirty-eight years old and has early onset Alzheimer’s disease. Eve Bennett’s life has fallen apart in a different way: she is working as a cook/cleaner at Rosalind House because her husband misappropriated other people’s money and then committed suicide. Her daughter Clem, not coping very well at school, also narrates some of the story. Dad isn’t an attractive man/ He has height, but the skinny kind, rounded at the shoulders so he curves forward like a wilting flower. He eyes are pale blue and his grey-orange fuzz is combed to hide a bald spot. All this information is apparent to anyone in the room, though. The things that I should know about Dad – the day of his birth, his baseball team, whether his stoop is old or new – are not there. Or perhaps they are, but deep down, hazy, as though he were a character from a novel I read a few years ago rather than the man who gave me life. He looks at me closely, perhaps for signs of dementing. I wonder if he’s finding any. At the sound of his voice, my brain releases a select few, seemingly unimportant memories. The way he used to eat ice cream with a fork. The way he used to drink his … morning caffeine drink … so hot, it should have taken the skin right off his mouth. ‘What do you think?’ he says. I came to see you. Jack walks out from behind me, reminding me that he is here, too. Young Guy and his sister are here too, but they stand now, muttering something about going to the garden. Some aspects of the plot are a bit predictable, and I was a little uneasy about the ‘life-is-always-worth-living’ agenda but I liked the focus on it being the responsibility of carers to identify reasons for distress and to be empathetic about meeting needs. Hepworth has achieved this without preachiness by creating characters with a sense of humour, and an engaging plot. Update (later the same day): If you or anyone you know is suffering from Alzheimer’s or dementia or memory loss, I can’t recommend highly enough the advice you can get from the Alzheimer’s Australia website. It’s not just for people with Alzheimer’s, there is information about all kinds of memory loss including dementia as well. (The first thing I learned was that dementia is a symptom, not necessarily of Alzheimer’s and there are lots of causes of memory loss.) There is heaps of information in user-friendly language, and also a help line. If this is an issue for you, I would suggest getting yourself a coffee and a supply of chocolate biscuits, and allow yourself plenty of time to browse through what’s there. Don’t forget to look at the page About You if you are a carer, or a family friend or relation because there are good tips about how you can maintain a satisfying relationship for as long as possible. And if you can, attend one of the courses that are available, I went to one about the role that music can play and it was just fantastic. 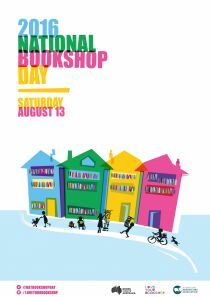 PS Don’t forget it’s National Bookshop Day this coming Saturday. Visit any real bricks-and-mortar bookshop, preferably an indie one, and buy a book! Oh, thank you, Elise, I am so glad that this book has reached a reader who will value it. It’s great that more books like this are coming out and I hope they reach the right people, they usually become a word of mouth recommendation when they do bring the kind of insights and empathy that might be helpful. It’s so sad when this destructive disease hits and all the more so when the person is so relatively young. Thanks for the review Lisa. I think you’re right about word-of-mouth – and blog reviews are a kind of word-of-mouth, aren’t they? I watched my grandfather fade away with Alzheimer’s and the strain on my grandmother who for a long time supported him at home on the farm was enormous. It’s a terrible disease and the sufferers seem so bewildered. I agree Lisa it, is a feel good story, but I did cringe a bit about the romance. However, I did enjoy the sad read. I think most of us know someone with dementia, Alzheimer’s, and memory loss. You can always recall the sad, but also the funny episodes in their lives. The title of the book is excellent.